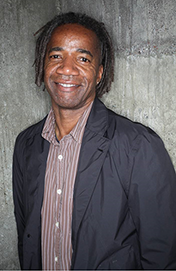 Walter Hood is the Creative Director and Founder of Hood Design Studio in Oakland, California. Hood Design Studio is his tripartite practice, working across art + fabrication, design + landscape, and research + urbanism. He is also a professor of landscape architecture at the University of California, Berkeley and lectures on professional and theoretical projects nationally and internationally.